Meet Dennis, a manager who has been asked to turn around a failing business division, and Chuck, a consultant with the deep knowledge and experience to help him. 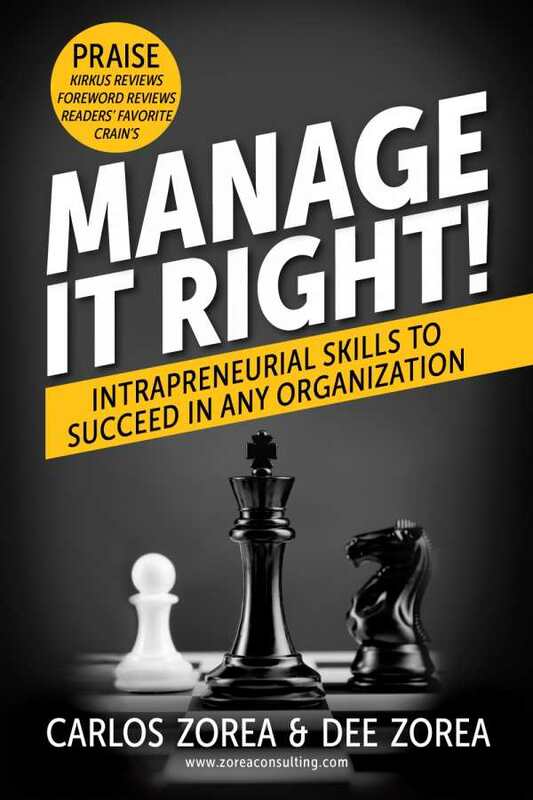 These are the two leading characters of Manage It Right!—a book that combines a compelling story line with strategic advice for intrapreneurial managers. Consultants Carlos and Dee Zorea ingeniously unveil a wealth of wisdom through the interactions of manager and consultant in a narrative told by Dennis. The book moves the reader through four distinct areas: diagnostics process and methodology to identify organizational weaknesses, team building, operational management, and monitoring and control of the new organization. Delivered in a traditional textbook style, such topics might come across as academic, if not dull. Instead, the Zoreas serve up expert advice in a highly palatable form, all the while making the reader want to know how things turn out for Dennis. The authors supplement the text with exhibits of the various tools Chuck employs in his sessions with Dennis, including a helpful “Request for Materials (RFM)” checklist of all the subject areas a business unit manager needs to know about, a format for a business road map, a sample of a “change design dashboard,” self-evaluation questionnaires, and more. It is likely that managers interested in honing their skills can apply many of these tools to their own situations. Carlos and Dee Zorea have done a masterful job of packaging their management consulting advice into a readable guide that is as entertaining as it is useful.